Medical Patrol members are all qualified medical staff - they are paramedics, certified first aid responders, nurses, and doctors. With the help of professional equipment they constitute our medical department at Pol'and'Rock Festival. Woodstockians’ safety is our highest priority at the Woodstock Festival. 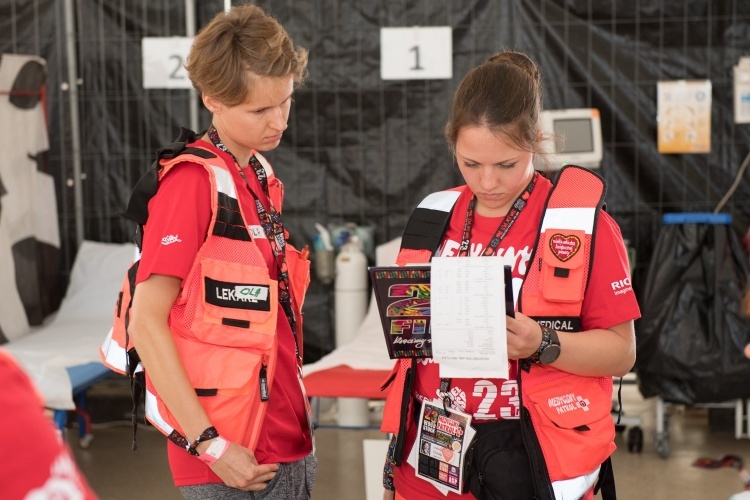 It takes the whole year to arrange safety services and prepare them accurately so that you could stay safe at the Most Beautiful Festival in the World. Great fun, music, friendship, workshops and performances - they're only some of the aspects of the Woodstock Festival. Another important thing is arrangement of medical security to ensure Woodstockians’ safety during the whole Woodstock Festival. Medical Patrol members are getting ready for work. Peace and Medical Patrol briefing is behind us. We're here to ensure your safety and to help organize the 22nd Woodstock Festival Poland. 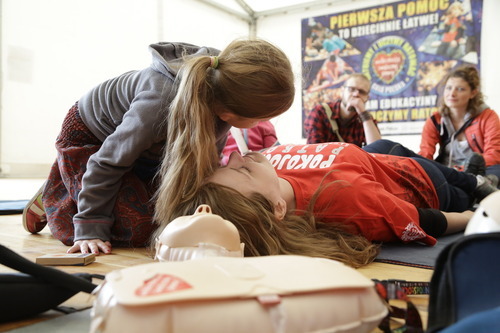 Join us in CPR for Schools Programme tent to learn the basics of first aid and see for yourself how easy it is to help others and learn how to save others! They are always there when we need them, on duty 24/7 –The Medical Patrol. The health of every Woodstockian lies in their hands, and we all trust them on that.